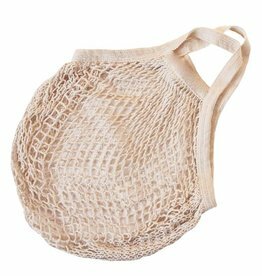 These bags do not have a Bo Weevil brand on the outside. 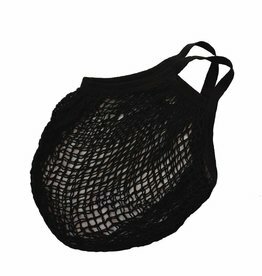 This makes them very suitable for your own marketing with your logo or message. 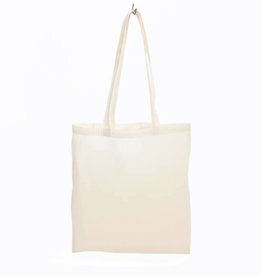 The bags do have a GOTS label with our CU005007 number inside, so your customers can see they were made of certified organic cotton. 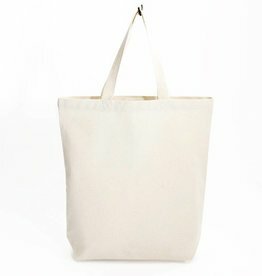 Canvas bag with white contrast stitching. 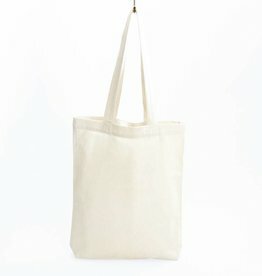 The bags are made of a strong canvas of 340g/m², certified organic cotton. The handles are made of webbing tape, 45 cm long. 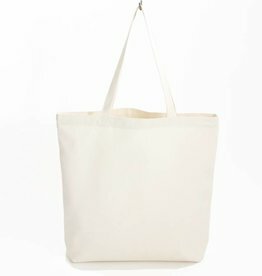 The bags do not have a Bo Weevil logo and are therefore very suitable for customizing. 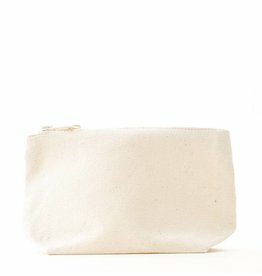 Cosmetic pouch made of 100% organic cotton canvas.